DNPric.es or "D.N. 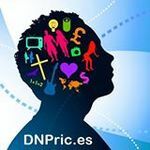 Prices" or "Domain Name Prices" (also known as DNSal.es) is an free online services that consolidates all publicly available records of domain name sales that took place either on the secondary markets or as premium sales from the registries. It is the most complete public database of domain name sales online. It is founded on the principles of bringing more transparency into the domaining industry. As hundreds of new deals are added daily to the existing pool of nearly 650,000 historical entries, DNPric.es makes it one solid ultimate source for checking domain name values. It has a rich statistical section allowing to analyse the date from all possible angles. The initial database was built up and managed by Brands-and-Jingles and its partners from as earlier as 2005. For years, this private database was and is still used in their internal monitoring system that has millions of domain names on the radar screen and then acts actively on their drops etcetera. Throughout 2010 to 2013, the idea and data was presented to various industry players. As those had expressed particular interest in the findings, in late 2013 Brands-and-Jingles granted the database rights to DNPric.es with intention to share the historic domain name sale statistical data with the wider audience for the public benefit of the domaining industry and beyond it. Since its official launch in March 2014, DNPric.es received attention from the top industry publishers, e.g., Andrew Allemann of Domain Name Wire, Michael Berkens of TheDomains.com et al. While predominantly oriented for domainers and domain name buyers as well as lawyers, since its presentation on ICANN 50 the database is also used by New gTLDs to assist them with lists of premium and reserved domain names. This page was last edited on 10 November 2015, at 21:49.